Trade Your Sweat for Prizes! Isn't the host so FAB? I mean...look at how she handles those prizes. But seriously, it's hard to decide which one is my favorite prize because quite frankly, I own them all. 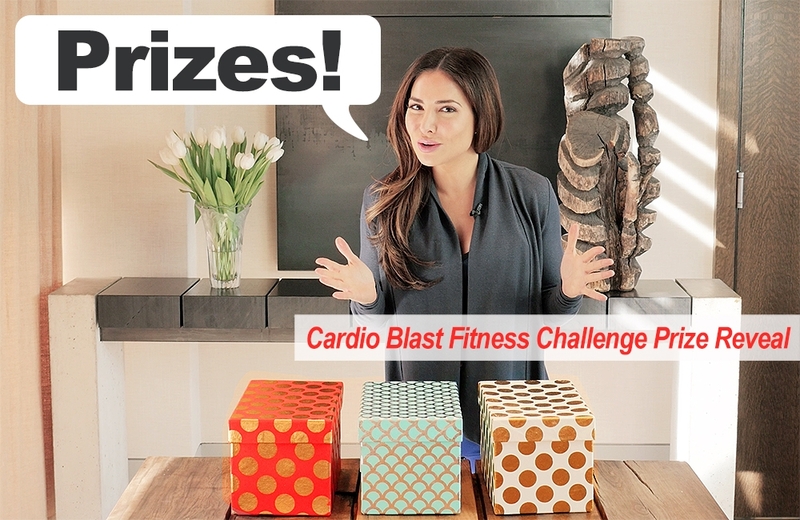 The prizes I pick for each Booya Fitness challenge are based on my favorite products and gear that I've personally test out for you. Booya Fitness offers the most cost-effective trending fitness classes online. You can work out as much as you like for just $9.99/month. Let me put something in perspective for you. Here in NYC, I pay between $30-40 to attend these very same classes featured on Booya, and that's just for a single class. Booya is A DEAL! And you can even work out while you travel. Never miss a class, ever. Amen.